Currently, hundreds of companies are investing heavily in smart home technologies and products. A seemingly-endless stream of new Connected Home products like the Google Home, Philips Hue Lights, Dropcams, and Samsung Smart Kitchen dominate the technology and investment news cycles. Voice UI and Natural Language recognition and an App are now part of the default interfaces to any new consumer electronics product. Mark Zeh has been researching and working on aspects of the Smart Home since he first joined IDEO’s now-defunct Smart Products studio in Palo Alto back in 2000. Between then and now, major companies have spent untold millions of euros/dollars trying to place networked technologies into people’s homes. So far, they have blamed business failure on technology deficiencies or the lack of a “killer application” to drive adoption. There are a few notable exceptions, but most Smart Home concepts still seem to come straight out of the past futures described in Ray Bradbury’s 1950 and 1951 collections of short stories, “The Martian Chronicles” and “The Illustrated Man”, solving problems appealing and relevant to a pre-consumer, pre-television, pre-commercial flight culture that was just getting used to owning electric fans and refrigerators. Mark Zeh will focus on why most of those future concepts still haven’t “caught on”, even though many have come to market several times over the years, in differing product and technology forms. He believes that the reason that most of these products and technologies have not been broadly adopted has to do with a large gap between how people actually behave in their homes and how the technology industry wishes they thought about their homes and private lives. In this talk, he will introduce some thoughts and design principles that he feels are essential for creating Smart Home products that people will welcome into their homes. Mark Zeh is a Design and Innovation consultant, based in Munich, Germany. He has been involved in researching, designing, and building Smart and Connected Experiences since 2000, when he first joined IDEO’s now-defunct Smart Products Studio in Palo Alto, California. Some of his past professional positions have been: Sr. Manager, Research, and Concept Development for Bose Corporation, Director of Product Development for the Steelcase Premium Group, Co-Head of the Health Practice and Technical Lead for IDEO Munich and Sr. Project Manager and Innovation Consultant for IDEO in Palo Alto, California. 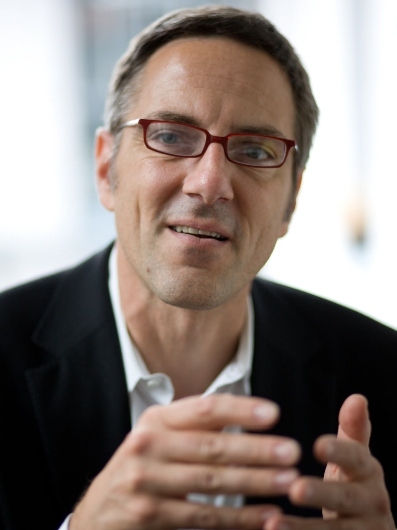 He has lectured and presented on the topics of design, entrepreneurship, consumer behavior, and global product development at venues, including Stanford University of Palo Alto California, Fraunhofer Institute IAO of Stuttgart, Germany, The Women’s Forum Global Meeting, and The Munich Business School of Munich, Germany. Mark holds a BSME from the University of Minnesota. He has been awarded over 25 patents, US and International, for his creative work. We would like to thank SapientRazorfish for supporting the local IxD community! Drinks and snacks will be provided. Publish a job ad on ixdamunich.de/jobs and the earnings will be used to support events like this one.